About one in every ten people have migraines. These are not just really bad headaches, science has proven they are much more. They are actually a powerful, complicated neurological and vascular condition that can be preceded by an aura, which is a strange feeling or symptoms indicating a migraine is about to hit including visual changes, mood changes, or noticing things smell or taste a little odd. Just after or on the heels of the aura, the pain usually hits. It is extremely harsh and is a pounding or throbbing sensation. This makes it difficult to perform your daily routine. Light can hurt your eyes and you may even become nauseated and vomit. Migraines can last for a few hours or even a few days. During this period, you are mostly confined to your bed. Recently, medications such as Botox and Eastern medicine such as acupuncture and aromatherapy have come a long way in helping people cope with migraines. While good news, the truth is many still continue to have migraines that cannot be helped by any of these means. For those who do not get migraines, it is very hard to imagine just how intense the pain can be. Those who suffer carry a unique burden. 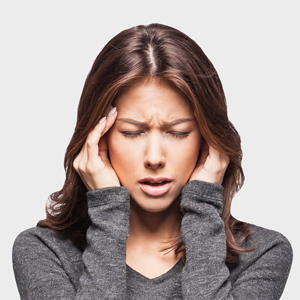 Let’s take a closer look at how migraines can negatively impact one’s life. Researchers at Montefiore Headache Center, Albert Einstein College of Medicine discovered some interesting information regarding how migraines hinder one’s quality of life. For this study, they gathered 4,022 migraine sufferers along with their spouses and domestic partners to get a complete understanding of how migraines affect the family. Their discovery was more profound than they could have imagined. Around 41 percent of those with migraines and 23 percent of spouses stated that those suffering from migraines would be better parents if they did not have migraines. It causes them to miss out on some very important life events and child-centered activities at least once during a month. This causes migraine patients to have to live with guilt and strained relationships, according to the study. The information discovered next has to do with worry about long-term financial security for the spouses and family members of those with migraines. This worry is real, and the toll can be devastating to migraines sufferers as well as their family members and includes sadness and guilt. This brings to light a new set of problems which may need to be addressed within the medical community: anxiety, depression, and the need to learn coping skills. These are issues that can linger long after the symptoms of a migraine have disappeared. They may begin to feel as if migraines have taken over their lives. Sadly, it is not just adults who are affected negatively by migraines. Children who suffer from migraines are seen to have a lower quality of life and poor performance when it comes to academics, according to a study from Brazil. In fact, it has been noted that migraines have a more severe effect than stomach, limb, or back pain and can cause similar effects to arthritis or cancer. Researchers at the Universidade Federal de Pernambuco in Brazil selected 200 children randomly in the age range of 10 to 15 years. Their quality of life, anxiety, and depression were looked at, along with their academic records. Out of these, 97% had headaches, 51% had migraines, 33% had tension headaches, and as many as 8% reported having primary stabbing headaches. The results of the study revealed that the greater the severity of the headaches or migraines, the lower the average grades were among the students. Life quality also decreased in the students with intense headaches. The studies authors theorized that by caring for these headaches properly, students may be able to improve their academics. Here at Wellspring Centre for Body Balance in Ashland, Oregon, we have had success in helping both adults and children cope with migraine pain. It has been noted in various research that migraines are often linked with a misalignment in the atlas (C1) or axis (C2) bones of the upper cervical spine. These bones are responsible for protecting the delicate brainstem from damage. However, due to their shape and ability to allow the head to move in many directions, they are also susceptible to misaligning. Anything from a simple trip and fall to a more serious car accident can be to blame for problems in this part of the neck. How does this cause migraines? For one thing, a misalignment here can hinder blood flow and oxygen from getting to and leaving the brain. It also can put stress on the brainstem, causing it to malfunction and send improper signals to the brain. Either of these things can be the reason for migraines. We use a very gentle method for both adults and children that is safe and pain-free. It does not require us to pop or crack the neck. We use light pressure in a specific area that encourages the bones to move back into place. It only takes one or two adjustments to see positive results beginning to become manifest. Many see their migraines improve or go away completely.